Reaching An Even Higher Level With Lauren Back In Detroit! 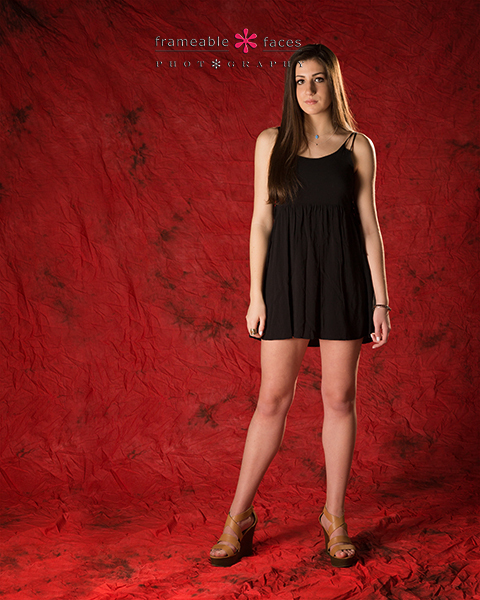 Yes we are huge fans of Lauren and her mom Gabrielle, and it’s been so much fun having Lauren represent our studio as a spokesmodel for the class of 2018! Her spokesmodel session was truly epic and we spent much of it in Detroit at the old Michigan Building and around Eastern Market. It was one of those sessions that sticks out for sure – just awesome. 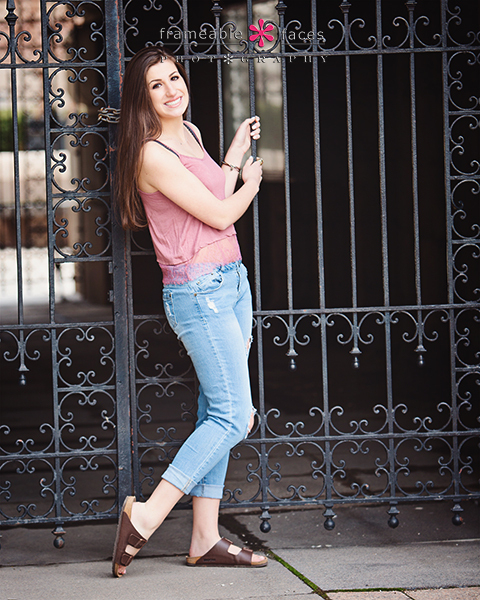 So we had a slight dilemma – we loved exploring around Detroit and they wanted to go back for Lauren’s senior session. Hey we’re always up for a Detroit session since there is so much going on down there and so many amazing places to shoot. The question was could we possibly top what we already did down there? Hmmmmm…. Could we reach an even higher level with Lauren? Ally predicted that we would indeed be able to kick it up yet another notch. And frankly I was confident too – we usually do. We suggested Belle Isle which hadn’t been on Lauren’s radar but she trusted us. Besides there was a little discussion around whether a beach shot might be nice – we had never used the Belle Isle Beach. So we set out with plenty of possibility and adventure in the air and the results? Well…… see for yourself. Great one to start with right? Love the framing of our girl with the vines! We also have plenty of behind the scenes fun as usual with some live broadcast replays (excuse my raggedy voice – I was recovering from being pretty well under the weather for a few days). First we went live on YouTube. If you want to tune in to other broadcasts be sure to hit the red subscribe button at our channel! We ended up spending a ton of time on Belle Isle – some shots at the fountain, a few at the willow tree above, and a few over by the conservatory including this colorful one with all the pretty flowers surrounding Lauren! AMATEUR iPhone panoramic photo for fun! Next we headed around to the other side of the island to the beach which we pretty much had to ourselves and this turned out to be a great call! Here is the fun behind the scenes Facebook Live broadcast replay where Gabrielle even took over for a few minutes as guest host as I struggled a little with the wind trying to reflect some light on our subject! So yeah…. awesome stuff at Belle Isle! But we weren’t done…. Another AMATEUR iPhone panoramic photo for fun! And here is the result!!! What a day – we actually finished it up with lunch at Johnny Noodle King and it was the perfect end to a day we won’t soon forget as we indeed reached a higher level with Lauren in our Detroit return! We hope you enjoyed the highlights of our day! Wow – Jeralyn Is ONE, And What A Year It’s Been Photographing Her! Boy does a year go by fast… this story is one of the more epic tales in Frameable Faces lore to be sure and we continue to tell it here. It started with an “emergency” maternity session phone call from Nick and Jen that you can read about here. Another photography studio’s mistake became the start of a friendship for us and some memorable moments with Jeralyn (who was once known lovingly in the Frameable Faces community as the “sharting baby” because of a hilarious little poop mishap during her newborn session that you can see and read about here)! 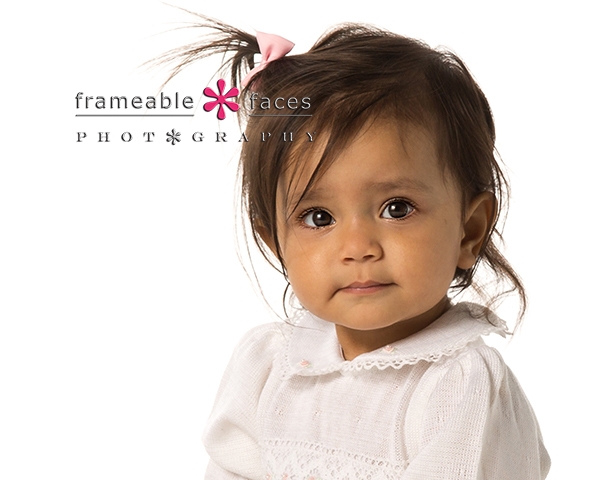 Now Jeralyn is ONE and she returned to the studio for an adorable photo session from which we want to share a few images with you! Newborn, 6 months, and one year!!! So much fun – perfectly displayed on a wall printed to 10″ x 30″ in a frame! 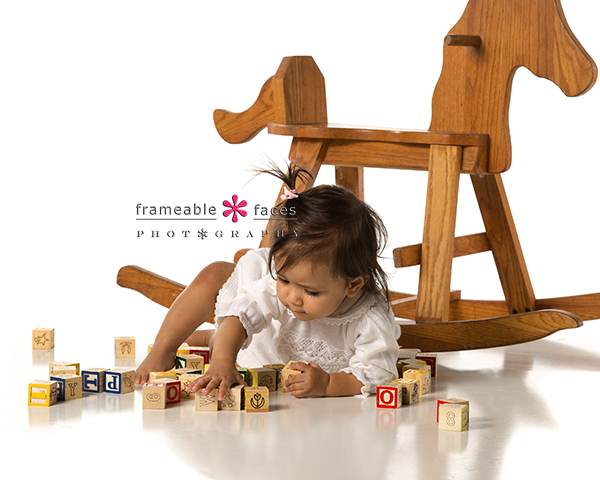 Jeralyn also likes blocks. Who doesn’t like blocks? At this point we broke out the sari that we used for all three sessions as you saw above in the storyboard – so pretty as the backdrop for this adorable close up! What’s great about our Periscope replay is often when people say you should photograph the parents being silly trying to get the kids to smile……well we got Jen at the beginning of this broadcast. Haha! If you want to join in the fun on Periscope download the app and follow us at @FrameableFaces here or if you just want to check it out from Twitter you can do that here. 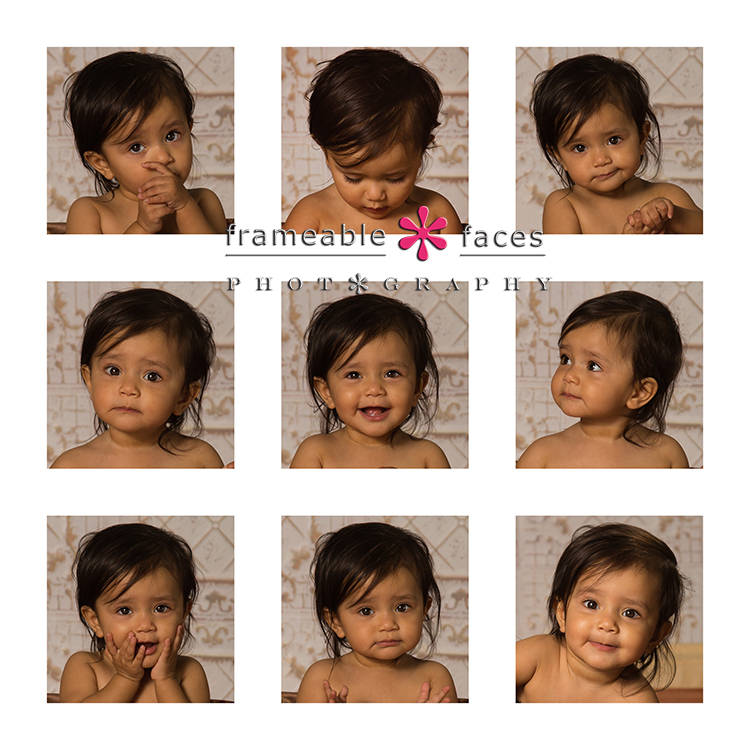 Just all around cuteness with the one year expressions! So yes Jeralyn is ONE and it really has been a delightful year photographing her! We hope you enjoyed the highlights!!! 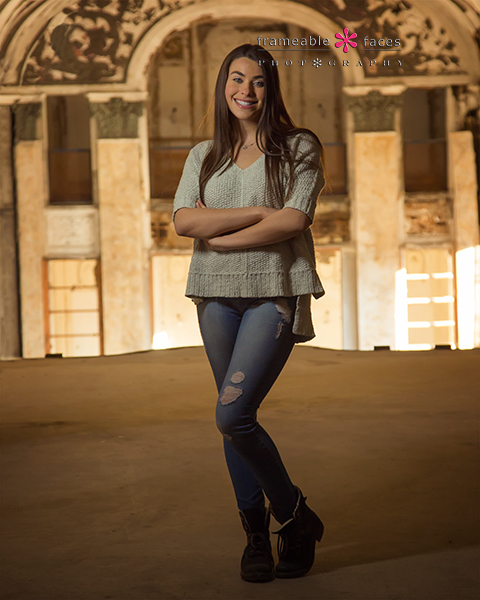 Cami Was CAMI-RA Ready In An Epic Senior Session in Detroit! 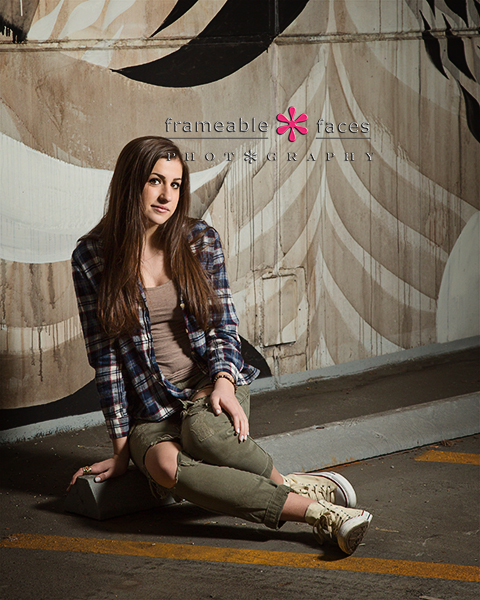 Cami was certainly “CAMI-RA ready” for her senior session takeover of Detroit! We’re very punny here at Frameable Faces. This was an epic session not like any before it and you’ll see why in a bit. Meanwhile let’s talk about Cami. We’ve known this girl for a long time and we actually photographed her brother Kyle for his senior pictures, but our relationship with Cami goes way back before that when a party favor from a Cami birthday party in the form of a music CD mix became the standard in the Cohen mini van for a good chunk of our kids childhoods! The “Cami Disc” was awesome! We still talk about it from over a decade ago… We’ve known Cami since she was 3 and she and our Lacey were in dance class together at Studio A the year it opened, so this girl has always had a special place in our hearts. She’s got it together too – she plans to be a nurse! We really had an amazing day with her and her mom Bonnie! Definitely Cami-Ra ready! She looks fantastic! Of course we have plenty of behind the scenes fun and here is the replay of the first Facebook Live broadcast from the studio! At this point we packed up and headed downtown for what was supposed to be a trip to Belle Isle and then maybe Eastern Market for some murals and whatever else we might find… well that didn’t happen. Okay well Belle Isle happened – and we love this red bridge there! Meanwhile there would be no Eastern Market for us on this day… Instead Ally had seen one of our clients post a few pics of an old theater downtown that is now a parking garage – the Michigan Building. It’s like a post-apocalyptic scene in there and Ally thought this would be a cool spot – Cami was sold immediately so we went down there, and WOW. Ally’s jaw hit the floor when we walked in – so cool! Here’s the behind the scenes broadcast from Periscope. 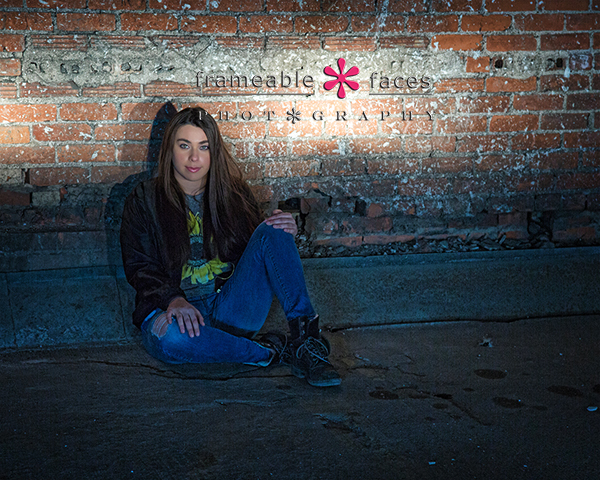 You can follow us there at @FrameableFaces at this link or see our broadcasts on Twitter here! Love it!!! 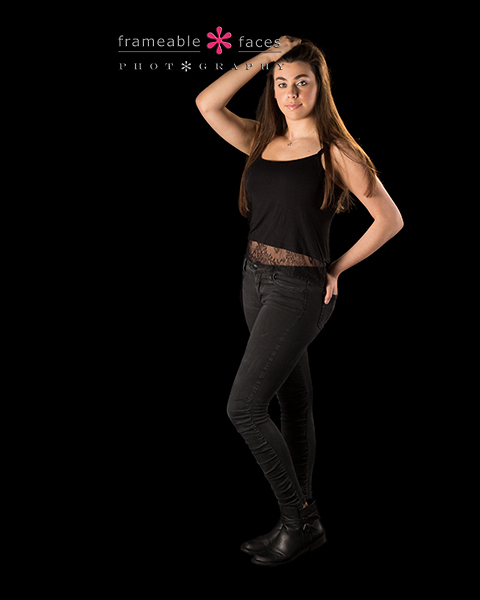 Yes Cami was Cami-ra ready and we were ready to make some magic which we did on her pioneering session! We hope you enjoyed the highlights of our day, and we’ll leave you with the Snapchat story from the day complete with the squad selfie at the end! 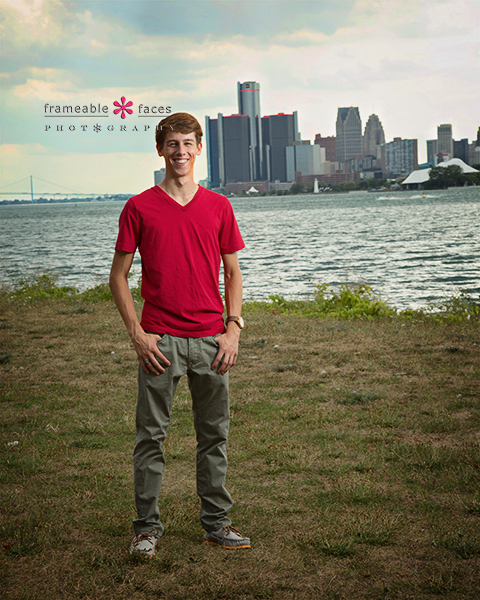 We Took Over Detroit With Reed On His Senior Session! We have spent more time in Detroit this year than ever before and that’s not by accident. Detroit has been roaring back with a comeback like we’ve never seen in our lifetime and many seniors want to have their sessions in the city. We have become familiar with some great spots and we are still discovering new ones all the time making for some awesome outings! 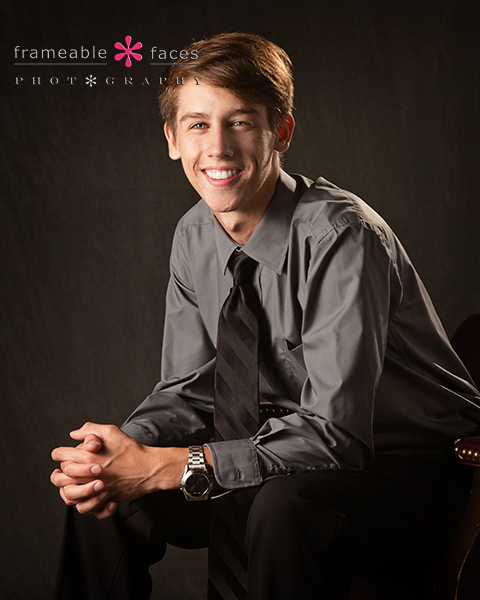 Reed’s session was no exception and he’s the second guy from this family Ally has had in front of her camera! Our first stop was on Belle Isle which is definitely becoming one of our favorite spots. Love this view of the skyline behind our guy! We have a couple more to look at but let’s sprinkle in a little behind the scenes action… First the 6 second looping Vine that pretty much sums it all up…. Here is the replay of our Periscope broadcast from Belle Isle. You can be a part of our broadcasts on the Periscope app with your smartphone by downloading the app and following us at @FrameableFaces here. 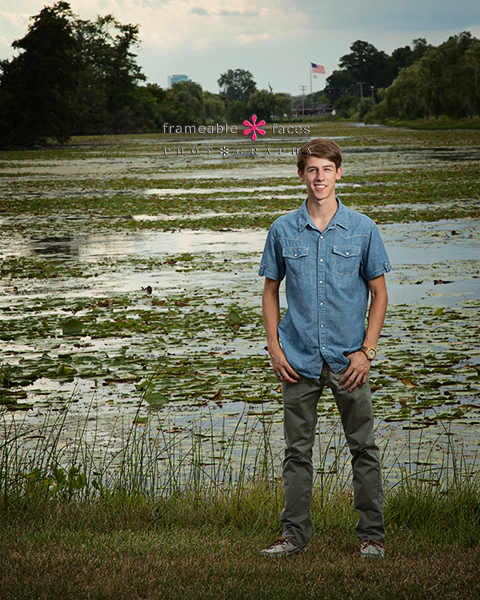 Here’s another photo from Belle Isle with a new spot we found with the bog in the background and a well placed American Flag! 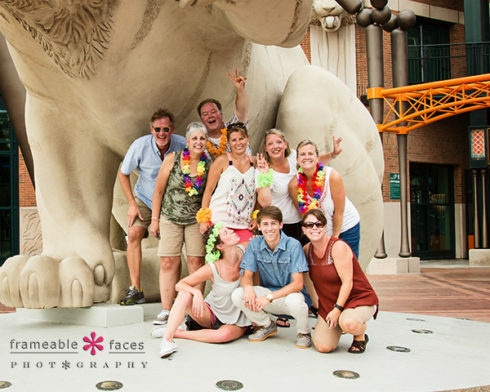 This next Periscope replay you’ll see where this merry band of travelers came pedaling by Comerica park where we were setting up to get a photo in front of one of the Tiger statues. Brent went to grab my iPhone but like a botched track and field relay the handoff failed and Brent went down trying to save it… I guess I should have known this broadcast was pegged for madness when I somehow started the broadcast without the title pasted in. “Untitled” is probably appropriate. Ha! 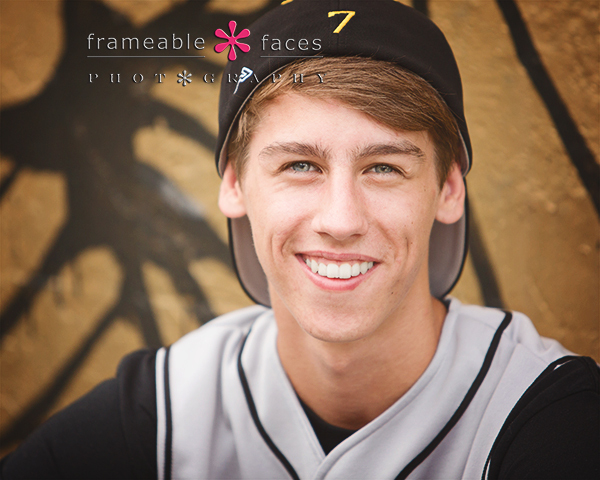 Meanwhile if you watched the whole thing you saw that the party people took a liking to Reed and wanted their own senior picture, so here it is…. And there you have it! We certainly took over Detroit on this day with Reed – a session we’ll never forget and we hope you enjoyed the highlights! Ahhhhhhhh It’s Aria! Our Latest Spokesmodel! Ahhhhhhhh It’s Aria! The surrealness of the class of 2017 continues as we present another upcoming senior we’ve known for almost her entire life! Aria and our Lacey have been friends since they were toddlers and Aria’s parents are friends of ours (you’ll see Rachel in the broadcast replays later). Aria is our latest spokesmodel from this awesome crew which has us so fired up! 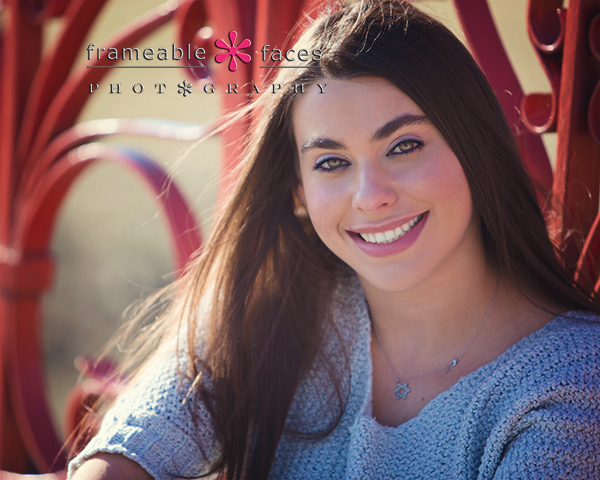 She has appeared on this blog before in photos from her younger sister Sedona’s bat mitzvah and now it’s her turn in the spotlight as a spokesmodel. Aria is one of the nicest people you will meet – smart and beautiful, she’s the whole package and we were excited for this day which led us to downtown Detroit again where we’ve been hanging out a lot lately. 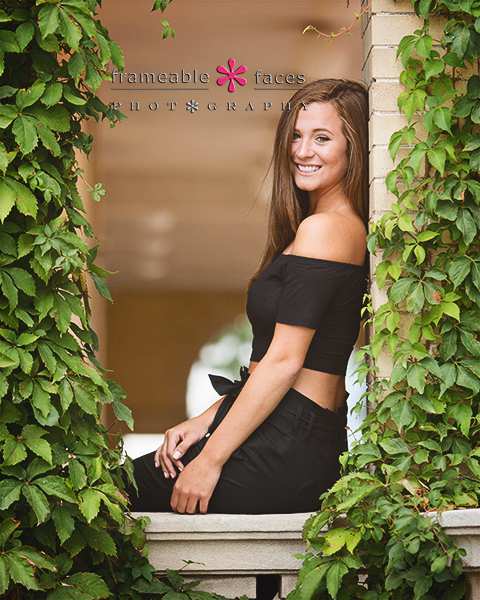 If you watched the live broadcasts from this session then you know that this was also a double spokesmodel session with Maya whose photos we will be posting soon – you’ll meet Maya in the replays below as well! Next we have the replays of the live Periscope broadcasts of the day from our Katch.me page which are always a lot of fun. If you haven’t downloaded this amazing app yet you can do so and come along with us on future sessions at @frameablefaces at this link. And next we have the Detroit City broadcast! Cute smile which says it all about Aria – she’s a happy sweet girl and we love her! We hope you enjoyed the highlights of our time with her!